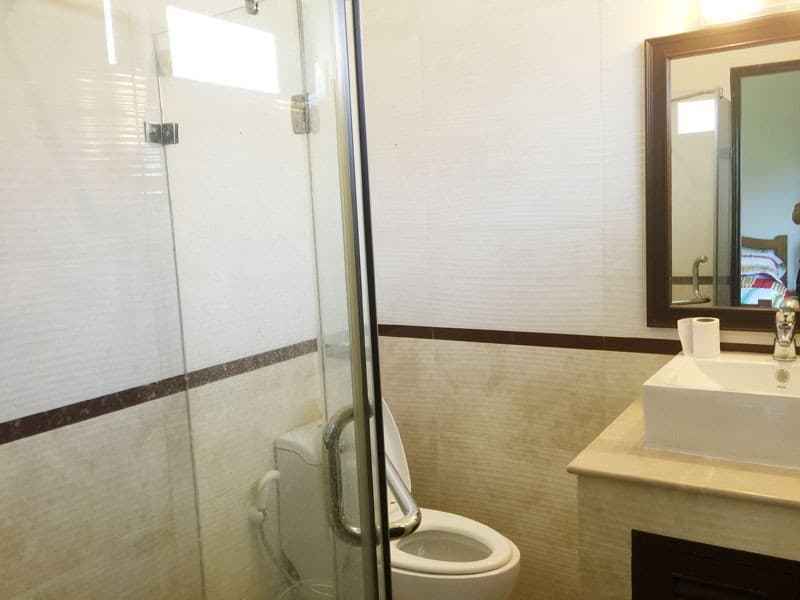 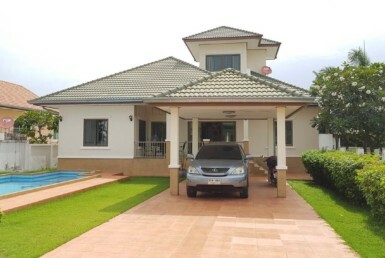 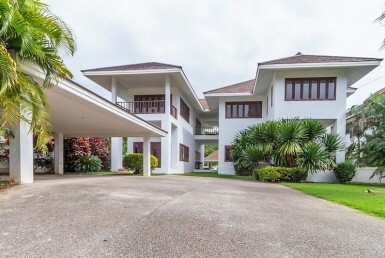 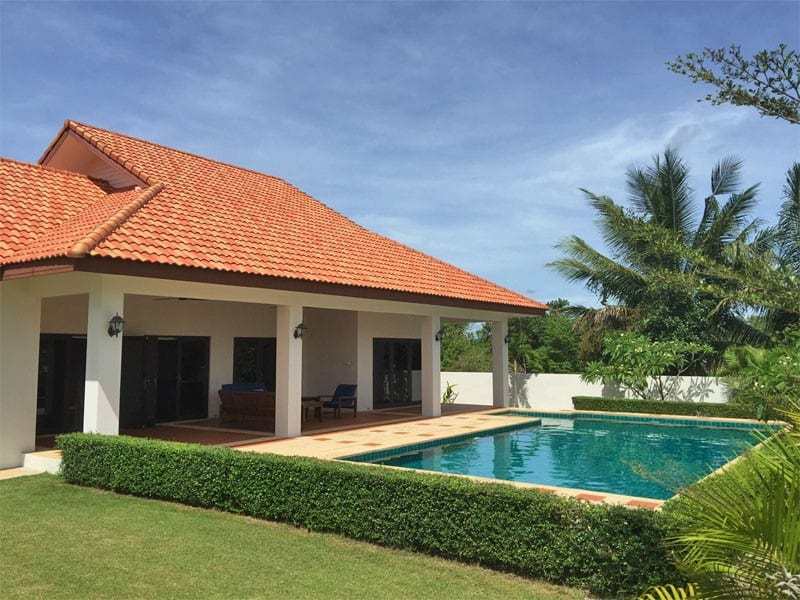 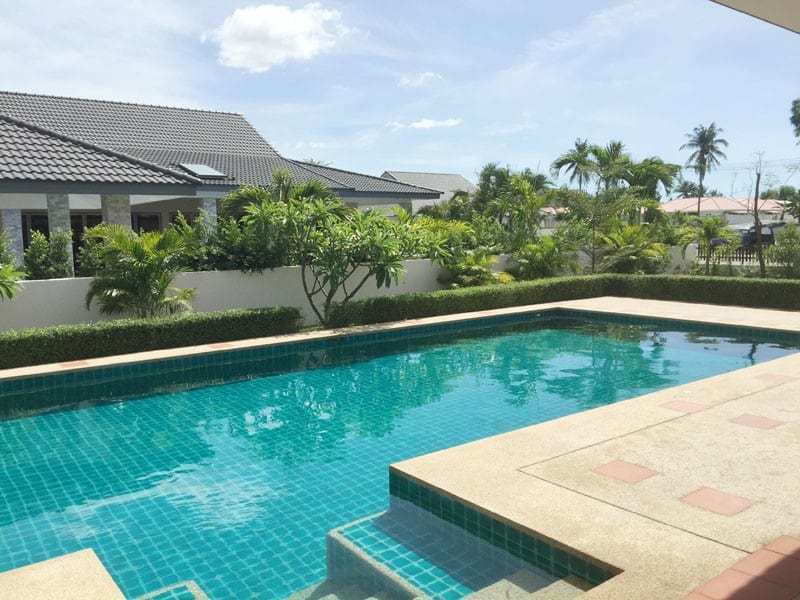 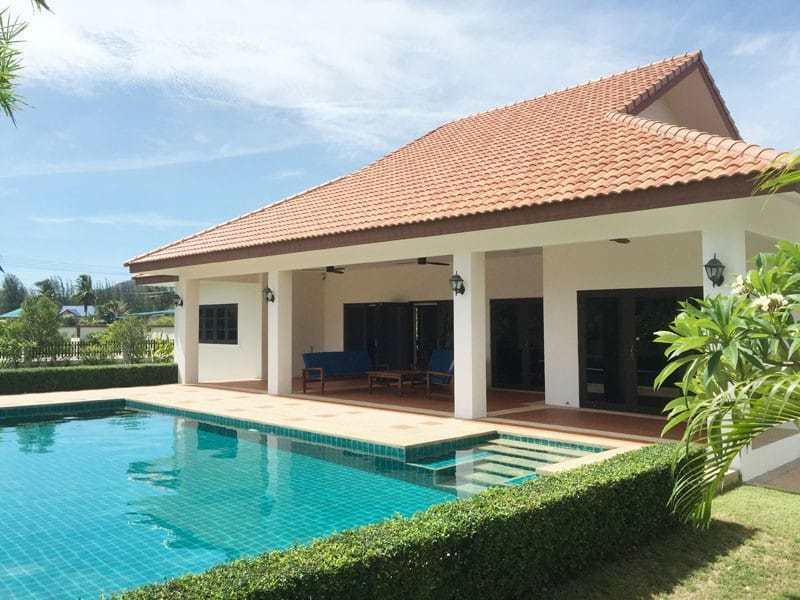 Pool villa for sale in Hua Hin close to Black Mountain Golf Resort. 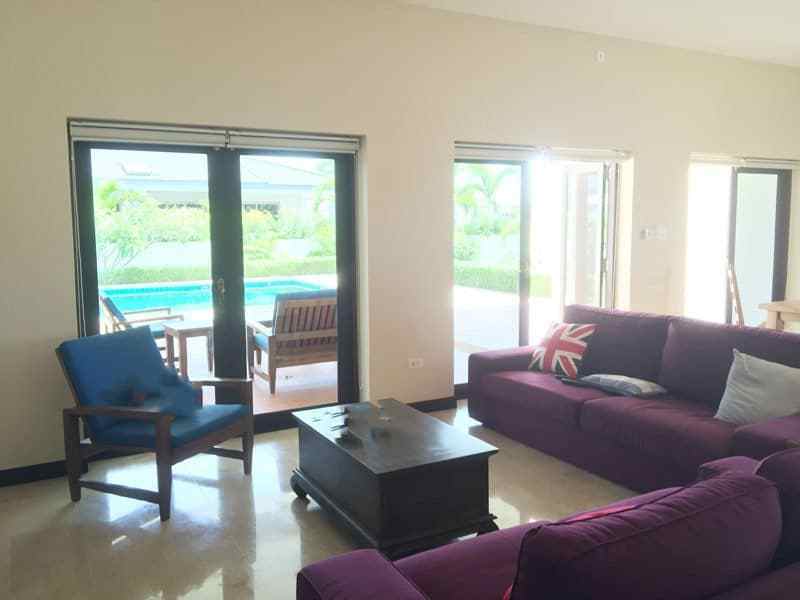 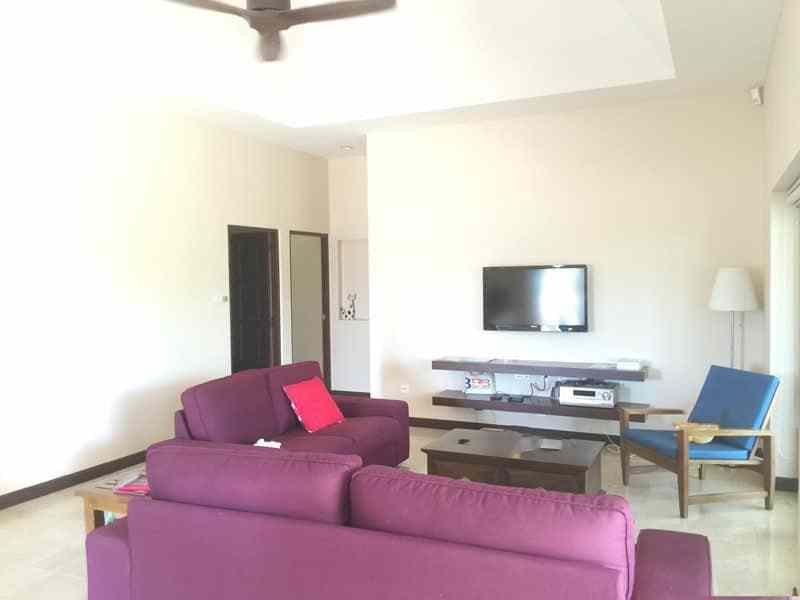 A 3 Bedroom and 2 Bathroom pool villa with a very spacious 280 square meters of living area. 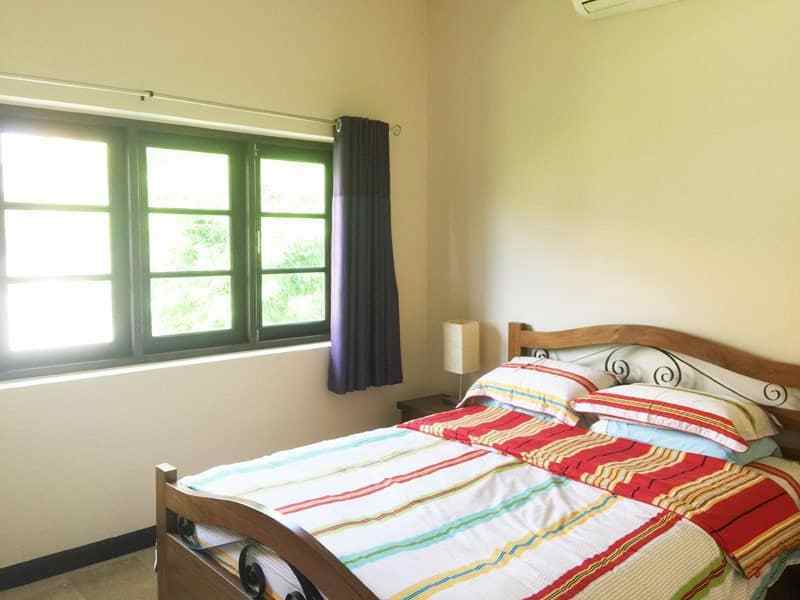 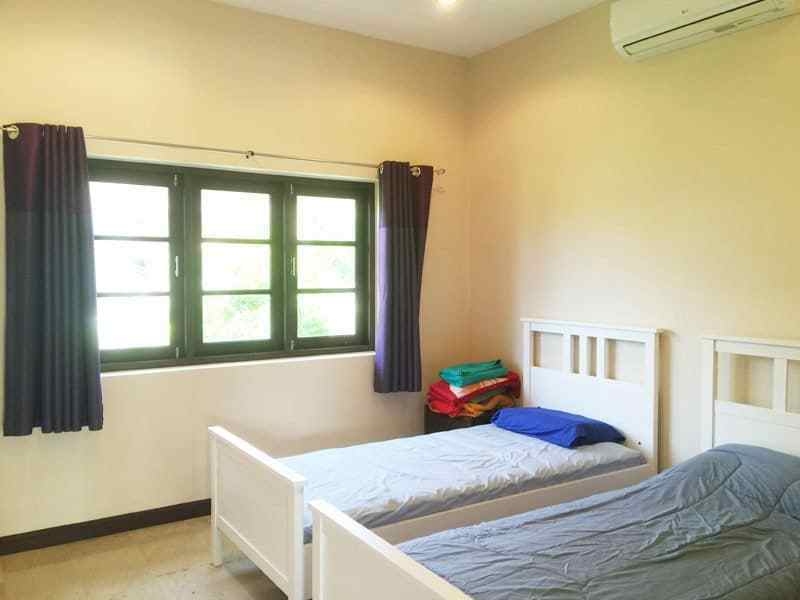 The bedrooms are spacious rooms and nicely presented in keeping with the rest of the house. 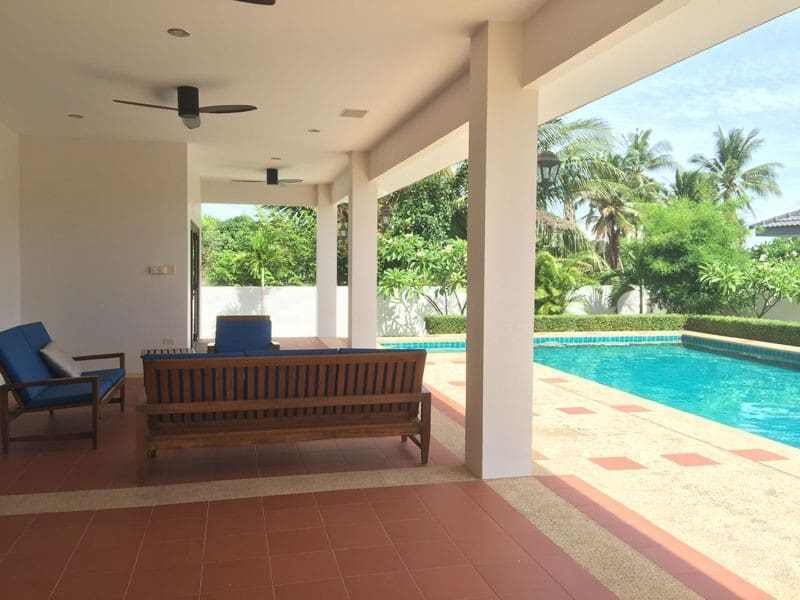 The large living area has doors leading out to the covered terrace area which is ideal for external dining and relaxing. 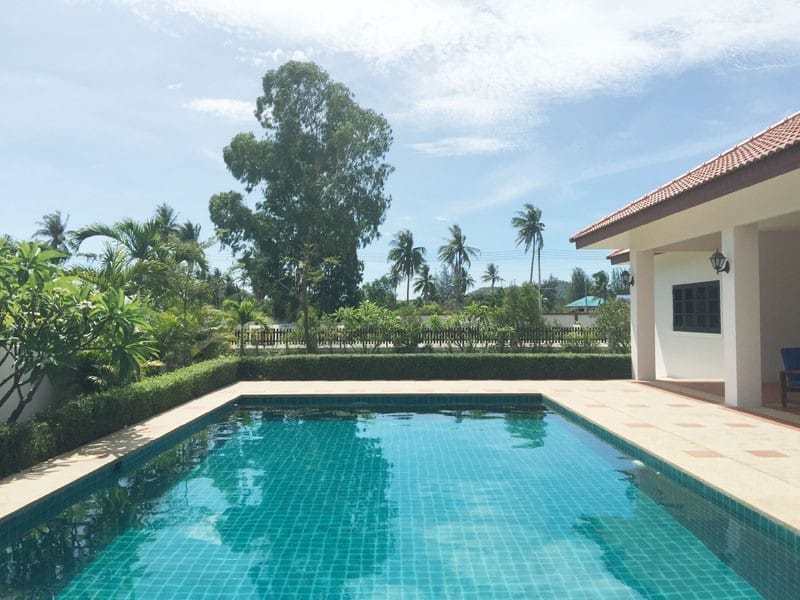 The large swimming pool sits within a well kept lawn garden which has views of the nearby countryside.